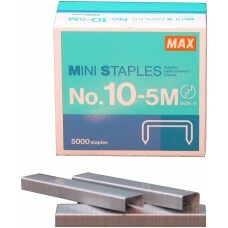 Code: 10(5M) Length: 5mm Quantity: 5000 Description: MAX® Galvanised staples. 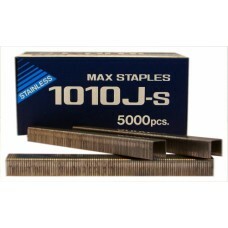 ..
Code: 1010J-S Length: 10mm Quantity: 5000 Description: MAX® stainless steel staples. 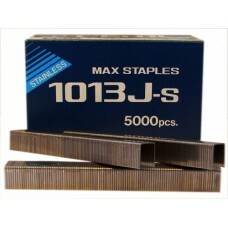 ..
Code: 1013J-S Length: 13mm Quantity: 5000 Description: MAX® Stainless steel staples. 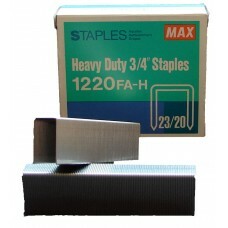 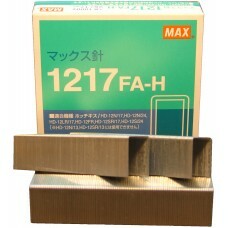 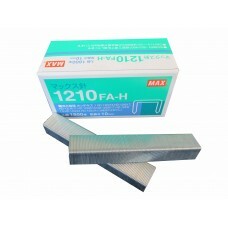 ..
Code: 1210FA-H Length: 10mm Quantity: 1,800 pcs Description: MAX® Heavy Duty galvanised sta..
Code: 1213FA-H Length: 13mm Quantity: 1600 Description: MAX® Heavy Duty galvanised staples ..
Code: 1217FA-H Length: 17mm Quantity: 1,000 pcs Description: MAX® Heavy Duty galvanised sta..
Code: 1220FA-H Length: 20mm Quantity: 1,000 pcs Description: MAX® Heavy Duty galvanised sta..
Code: 1224FA-H Length: 24mm Quantity: 1,000 pcs Description: MAX® Heavy Duty galvanised sta..
Code: 21151/4L Length: 6mm Quantity: 5000 Description: MAX® Galvanised staples. 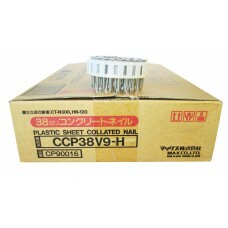 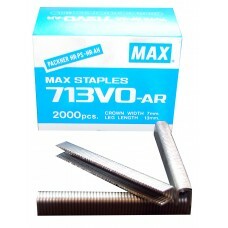 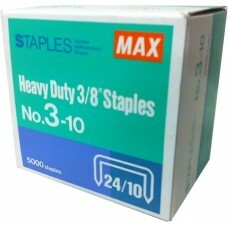 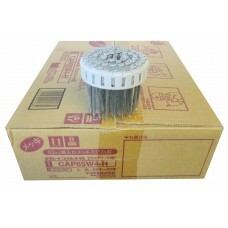 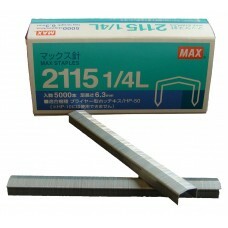 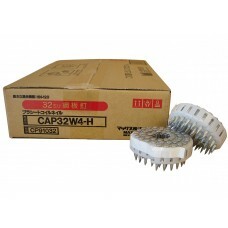 ..
Code: 21153/8L Length: 10mm Quantity: 5000 Description: MAX® Galvanised staples. 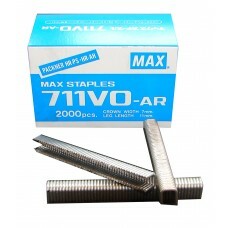 ..
Code: 3-10(5M) Length: 10mm Quantity: 5000 Description: MAX® 10mm 24/10 gal..
Code: 408J Length: 8mm Quantity: 5000 Description: MAX® galvanised staples. 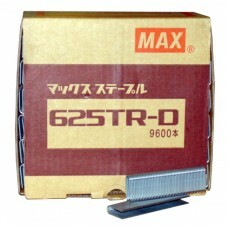 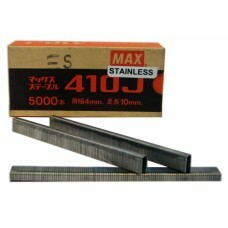 ..
Code: 410J-S Length: 10mm Quantity: 5000 Description: MAX® Stainless steel staples. 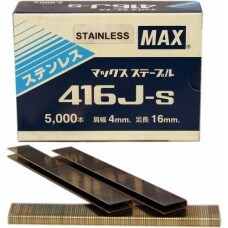 ..
Code: 416J-S Length: 16mm Quantity: 5000 Description: MAX® stainless steel staples. 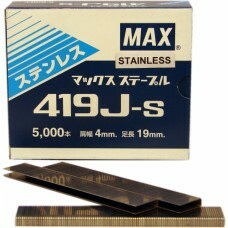 ..
Code: 419J-S Length: 19mm Quantity: 5000 Description: MAX® Stainless steel staples. 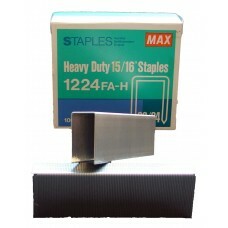 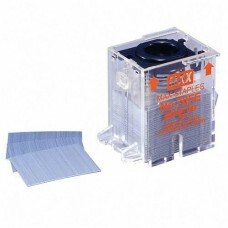 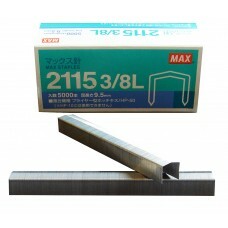 ..
Code: 422J-S Length: 22mm Quantity: 5000 Description: MAX® stainless steel staples. 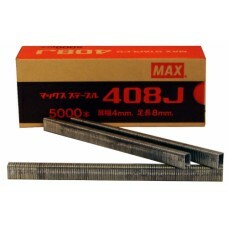 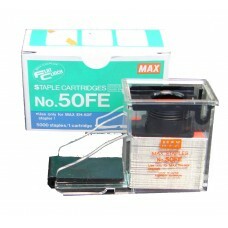 ..
Code: 50FE Length: 7mm Quantity: 5000 Description: MAX® Galvanised staples in cartridg..
Code: 604E-L Length: 5mm Quantity: 4800 Description: MAX® Commercial galvanised staple..
Code: 625TR-D Length: 25mm Quantity: 9600 Description: MAX® 16ga divergent point galva..
Code: 70FE Length: 9mm Quantity: 5000 Description: MAX® Galvanised staples in a cartri..
Code: 711V0-AR Length: 11mm Quantity: 2000 Description: MAX® Aluminium bag sealing sta..
Code: 713V0-AR Length: 13mm Quantity: 2000 .. 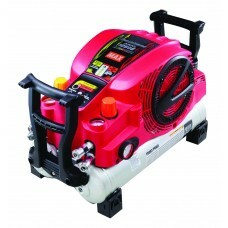 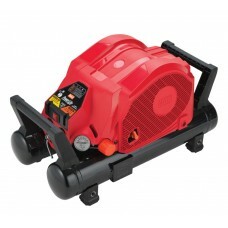 Description: MAX® PowerLitetm high pressure lightweight Tradesman oil-less compressor. 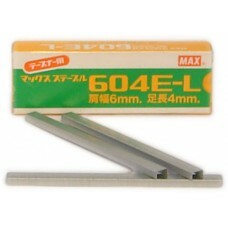 Made.. 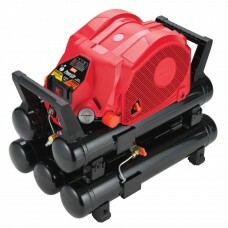 Description: MAX® PowerLite high pressure lightweight Tradesman's oil-less compressor. 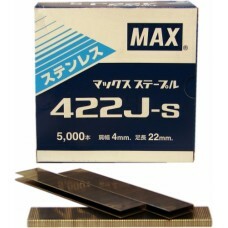 Made.. 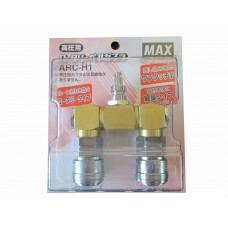 Features: "T" swivel Junction Complete with MAX PowerLiteTM fittings. 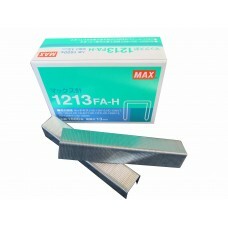 Exceeds Aust/N..
Code: CAP32W4-H Length: 32mm x 3.40mm Quantity: 1000 Description: MAX® 32mm Diamond Po..
Code: CAP38W4-H Length: 38mm x 3.40mm Quantity: 1000 Description: MAX® 38mm Hardened Galvan..
Code: CAP65W4-H Length: 65mm x 3.40mm Quantity: 1000 Description: MAX® 65mm Diamond Po..
Code: CCP38V9-H Length: 38mm x 2.90mm Quantity: 1000 Description: MAX® 38mm x 2.90mm D..